The Galactic Civil War rages across countless planets, and everywhere it touches, violence blossoms, peace dies, peoples fall, families are ripped apart… and heroes rise. Every planet caught in the grip of the war has its battlefields, its battles, and its heroes. All manner of intelligent species send their soldiers to join the fight, and every single one of them stands a chance—no matter how great or small—of helping turn the tide. Across icy wastes and jungle planets, grassy plains and barren steppes—wherever there's a battlefield, you'll find leaders adapting their strategies to the changing circumstances of the battle. You'll find pilots and drivers straining their machines to the utmost. And you'll find infantry fighting, charging the enemy, and winning the day. These infantry and their acts of heroism often go unsung, except in Star Wars™: Legion! 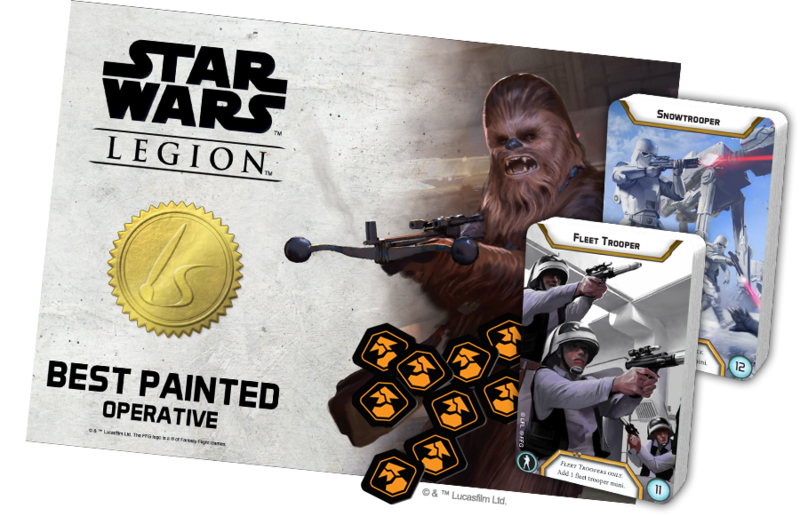 As the miniatures game of hard-fought infantry battles in the Star Wars galaxy, Star Wars: Legion is your gateway to countless battles fought across countless planets. There's always a new battle and a new tactic to explore, and there's no better way to pursue all that Star Wars: Legion has to offer than through its Organized Play. Now, as we race toward the end of the year's Organized Play, we're happy to preview the prizes and Operations making their debut in the 2018 Season Four Ground Assault Kit. 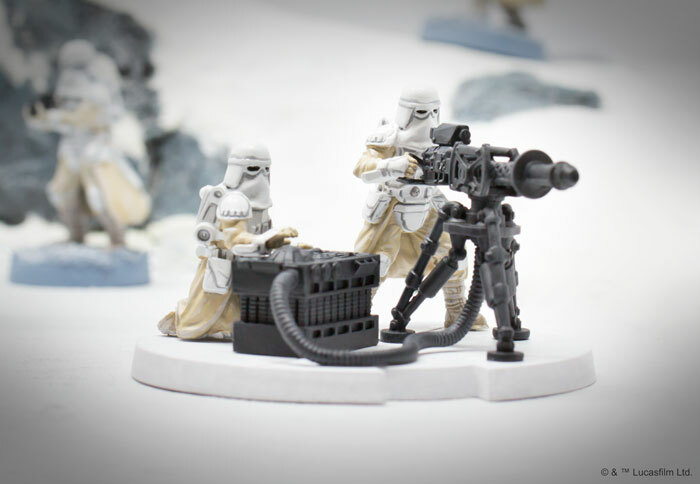 The 2018 Star Wars: Legion Season Four Ground Assault Kit is designed to support your local Star Wars: Legion player base for three months of in-store play. Each month is associated with a new Operation, which adds a unique twist to your standard battles. A weekly league that meets on a regular basis. A "rivals" league, in which players partner off and play in the store on their own schedule. A single-day event that compresses all four league games into a single epic day of Star Wars ground battles. While you play through the Season Four Operations, you'll also place yourself in contention for the Ground Assault Kit's various prizes. There's a new set of prizes that comes with each Operation, so you'll find plenty of reasons—new prizes and new experiences—to head to battle each new month (and week). The first Operation in Season Four, Operation: Polar is an entanglement operation designed for smaller armies and featuring a unique game setup builder. You'll want to break out your General Veers, Snowtroopers, T-47 Airspeeder, and 1.4 FD Laser Cannon Team for this one—Operation: Polar is built around snow effects and the idea of fighting in a snow-heavy battlefield. The prizes for this Operation are also themed for the cold. 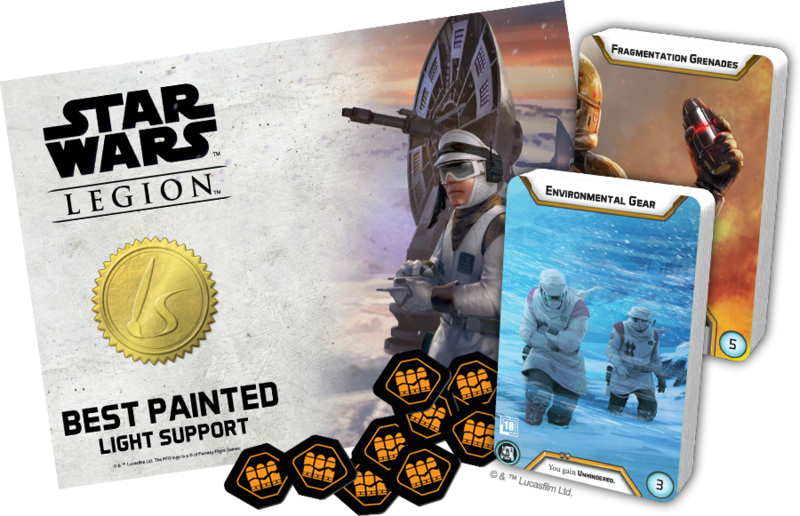 You'll find seventeen copies of a double-sided Fleet Trooper / Snowtrooper Core Prize card, thirteen copies of the Elite Prize Disabled token (potentially for when your vehicles can't adapt to the cold), and a certificate for the Best Painted Operative. You can earn up to two copies of the Core Prize cards—one for showing up and participating in the Operation, and one as an award for your patronage at the store. You earn one Elite Prize token for completing at least three of the Operation's four games, and the other tokens are distributed to players with reference to the achievements they claimed throughout the month. 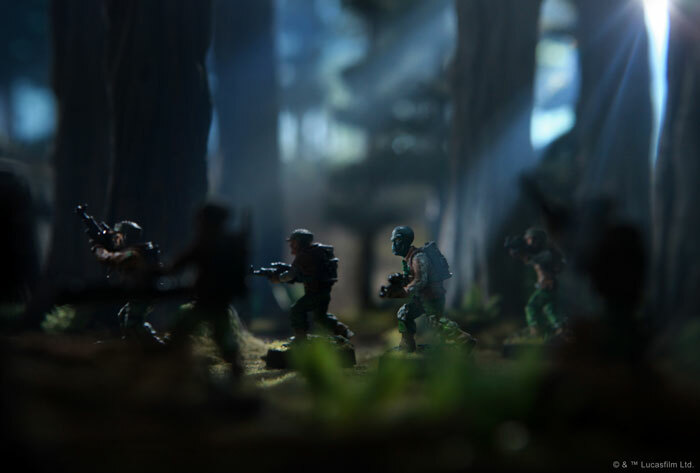 In Operation: Total Annihilation, you'll work together with the other players on your team as the Rebels and Imperials clash in the woods outside an urban area. As one side moves toward the city, hoping to take it back from the other side, you and your teammates will score your points together and determine the start of the next match based on your team's performance. 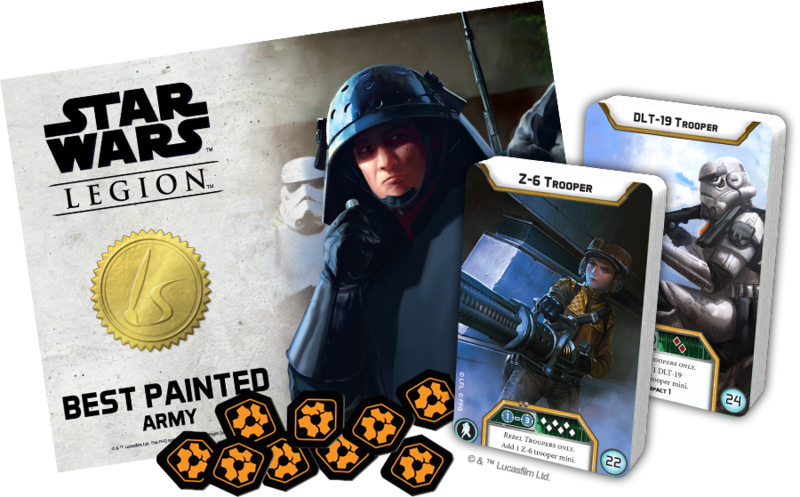 The prizes for this Operation include seventeen copies of the double-sided Core Prize card that features the Z-6 Trooper and DLT-19 Trooper, thirteen Elite Prize Damaged tokens, and a certificate for the Best Painted Army. When you battle through this ambush Operation, you and your opponent will be forced to deal with "nighttime" conditions. You'll need to adjust your strategy for the Operation's "fog of war" effects and hidden information as you deploy and move around command tokens that represent units—until they're ready to spring out and attack! The prizes for Operation: Midnight include seventeen double-sided Core Prize cards with Fragmentation Grenade and Environmental Gear, thirteen Elite Prize Weapon Destroyed tokens, and a certificate for the Best Painted Light Support. By the time you've battled through all of 2018 Season Four, you'll be a seasoned veteran, ready to put on your Environmental Gear, go anywhere, and fight anyone to advance your cause. Where will you find your next deployment? Where will you pursue your next objective? Talk to your favorite local game store today about how you can get involved in Star Wars: Legion Organized Play!